It's been so strange to go a week without writing a blog entry so I just needed to get my fix! Hope your all having a good post Purpose Driven week. 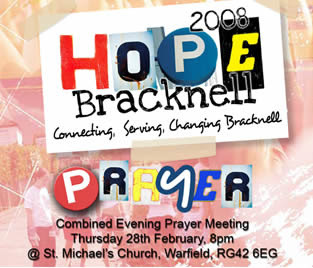 First of all remember the joint prayer meeting for Hope08 at Warfield Church tomorrow night (Thursday 28th) at 8pm. More details here. Secondly be thinking about who to invite to the Mothers Day meeting on Sunday morning. If we're going to be serious about our Mission Purpose then it starts with us reaching out to the unbelievers around us, and Mothers Day is an excellent opportunity to do that. Catrina and I have both invited our parents. 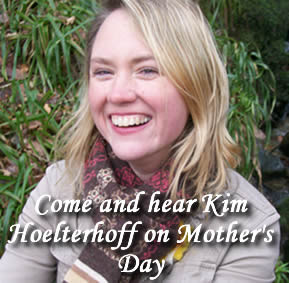 Kim is a fantastic communicator and there are some other great items as well as photos for all the Mums. One request, if at all possible can you please, please, please park in the Avis car park, even if you have got guests, as the car parks around The Kerith Centre are going to be heaving on what is historically one of our biggest guest meetings and we want to leave space for the elderly and disabled. Thank you in advance. 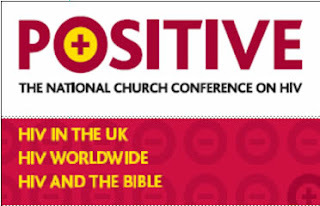 Finally don't forget to get your tickets for the Positive HIV/AIDS conference on the 15th March. This is a chance to be in at the start of our response to the HIV/AIDS pandemic, something we're going to be at for many years to come. I'm also excited to be able to say that Paticia Sawo who is the other key speaker after Kay Warren is going to be with us at The Kerith Centre on Sunday 16th March and will be sharing her life story on Sunday morning - we are very privileged. Hope to catch you over the weekend (Catrina's going to be at the Hope08 Prayer Meeting rather than me). Enjoyed the coffee this morning, big improvement - thank you! Just want to say I really enjoyed this morning. I invited my mother-in-law she isnt a christain but today really moved her and I believe that God spoke to her today. She has been having a lot of stress and worry because of my exhusband and I think she was dreading today as she hasn't spoke to my ex since december sometime (long story). I have just gotten off the phone to her and she sounds so relaxed and at peace, I cant remember the last time I spoke to her without hearing the stress and worry in her voice. I just pray that God continues to speak into her heart and that she start's coming along to more meetings. I also think Stacey done really well, its not easy to stand up in front of so many people and be as open and honest as she was. Life isn't a bed of roses which make's stories like Staceys more powerful, to hear where some has come from and how they've made it through gives hope to us all. Anyway I'm off. Miss your daily blogs. Have a good week. Glad you're enjoying the coffee Sue! Lattes next. And thrilled by how the morning affected your Mother in Law Nina. Absolutely fantastic. Keep those comments coming. Both my mum and grandmother came on Sunday morning and loved it. Mum needed tissues! My grandmother who is always "doom and gloom" said she felt so uplifted - I haven't heard her sound so lighthearted for years! God is at work! Thanks to all who put so much effort into Sunday morning, it was excellent - especially the coffee! I'm not normally one to cry at videos but 'I'll love you forever' really got me - please pass on my praise to whoever did the filming and editing, the quality was amazing - we really are 'going to the next level' on our video production. And Stacey's story was so moving. Oops, forgot to say that was me, Eileen!